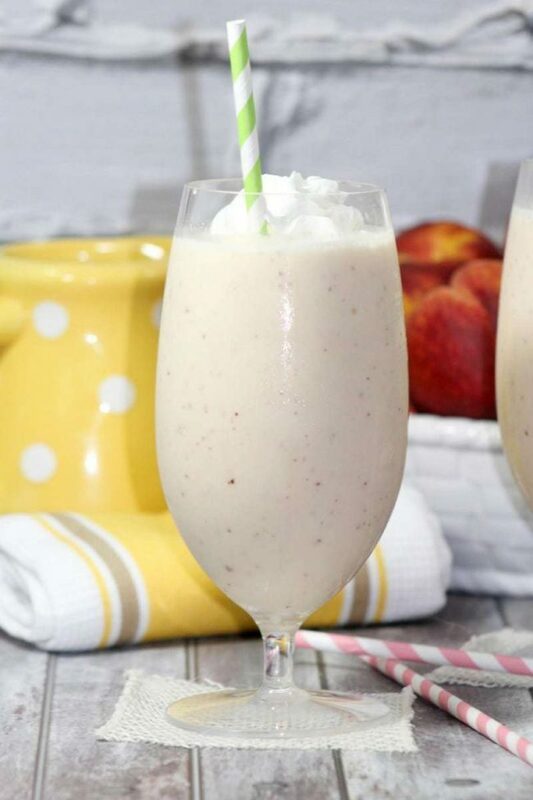 Rich, flavorful, creamy peach milkshake recipe! Inspired by Chick-fil-A limited time peach milkshake recipe. Start by peeling and cutting your peaches into chunks. Cut the peels into small pieces. Add ice cream, ice, milk, vanilla, and tropical fruit juice to the blender. Now, add your cut peaches and ¼ cup of cut peach peelings. Puree all ingredients together in a blender until smooth without chunks. To serve it true Chick-fil-A style, top your milkshake with whip cream and a cherry, or serve it as is.